Hintertux, or Hintertux im Zillertal - meaning Hintertux in the Zillertal Valley, is a Tyrolean ski resort right up against the Hintertuxer glacier so it is possible to ski here year round. Some of the best places to stay in Hintertux im Zillertal are those close to the glacier, but there are also some lovely options lower down the slopes in the town of Tux. As well as skiing on a glacier, Hintertux im Zillertal is a great place for outdoor pursuits of all kinds, and some of our Guru’s recommendations pride themselves on helping outdoors-folk get the most out of this beautiful region. It is an extremely beautiful part of the world. The Ziller Valley is broad, some of it farmland and some of it alpine meadow, leading up to wooded slopes and snowy peaks. And of course the glacier. Hintertux doesn’t offer a lot in the way of après-ski in the villages, which are mostly made up of hotels and guesthouses, but there’s plenty for kids if you’re travelling as a family. Just remember that the region is busy both in summer and winter months. So if you want to guarantee a room in one of the best places to stay in Hintertux, get organised and book well ahead. 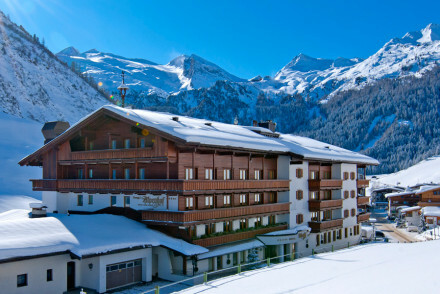 Right in the resort of Hintertux, about as close as you can get to the glacier, is the Hotel Neuhintertux, a luxurious hotel and spa with incredible mountain views and 56 elegant, traditional rooms. 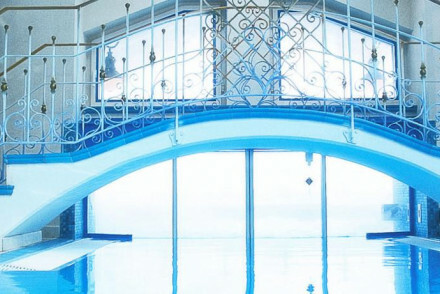 The spa is so large it spills outside, where there’s a whirlpool, saunas and an infrared cabin, while inside there’s a cosy lounge and bar with open fireplaces. Hotel Hintertuxerhof is also not far from the glacier cable car. It has 35 spacious rooms and is great for families, with family suites and play room on site. Plus you'll find a tennis court for summer months, sauna, gym, restaurant and wonderful views. The Alpenhof is a good choice in the centre of Hintertux. 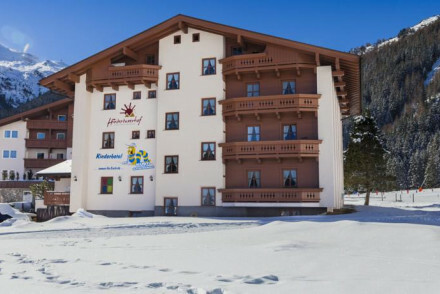 Spacious rooms and suites offer traditional alpine style, plus you'll find a large spa with sauna, pool, relaxation room and gym and an excellent restaurant. For full use of the pisted areas of snowsports the best time of year is between December and April, however, during summer months there is still skiing on the glacier. In summer it only averages around 8-10 degrees - so you need to wrap up all year round! Peaceful chalet hotel close to Hintertux Glacier cable car. Contemporary rooms have big beds and modern bathrooms, extra large family suites. Tennis courts, saunas and gym. Good restaurant, children's play area and superb views. Great value. A luxury hotel and spa boasting stunning mountain views. Elegant rooms are traditionally styled with warm hues, sink-in-to beds and private balconies. A cosy lounge and bar features an open fireplace; the ideal spot to unwind in the evenings. The extensive spa provides complete rejuvenation. Spa breaks - The vast Neuhintertux spa boasts an outdoor whirlpool, saunas, an infared cabin, a vitamin bar and extensive treatment list. Active Holiday - Year round adventure can be found in Tyrol from skiing to hiking. Excellent hotel at the foot of the Hintertux Glacier. Spacious suites have Alpine-style wooden furniture and balconies. 1,600 m² spa with saunas, pools, relaxation rooms and a gym. Fantastic restaurant using locally sourced ingredients. Outstanding choice of family-friendly activities.